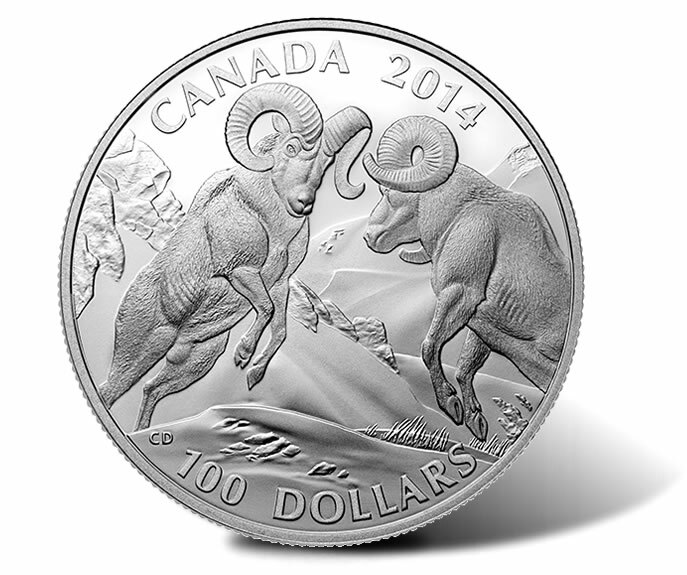 New from the Royal Canadian Mint is its 2014 $100 Bighorn Sheep Silver Coin, the latest release from the popular Wildlife in Motion series which features one ounce, 99.99% pure silver coins sold at their legal tender face values of $100. These coins are viewed as a premium option to the Royal Canadian Mint’s $20 for $20 program which has proven extremely successful. This older program with much higher per-coin mintages has seen 13 coins issued to date, with all but the 2014-dated coins selling out. The most recent 2014 $20 Summertime silver coin launched in late May. The previous 2014 $20 Bobcat silver coin is at 91% sales and the first 2014 $20 Canadian Goose silver coin is at 99% of sales. Designed by Canadian artist Claudio D’Angelo, the $100 for $100 Bighorn Sheep Silver Coin has an action scene depicting two Bighorn Sheep as they are about to engage. The background offers a mountainous Canadian landscape. Inscriptions around the scene read: CANADA, 2014, 100 DOLLARS and the artist’s initials. This Royal Canadian Mint clip shows the coin as it rotates. Obverses bear a portrait of Queen Elizabeth II by Susanna Blunt and have inscriptions of ELIZABETH II and D G REGINA. 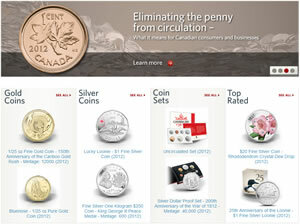 Coins of the series are produced with a matte proof finish and a serrated edge. Each weighs 31.6 grams and has a diameter of 40 mm. Currently, the 2014 $100 Bighorn Sheep Silver Coin is available only for pre-orders to Royal Canadian Mint Master’s Club members. These are customers who have spent more than $999.99 CAD for Mint products in a consecutive 365 days based on the first date of purchase. Ordering should open for everyone shortly. Update: The coin is now available to everyone. 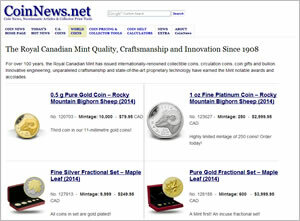 An affiliate link to the Mint’s $100 for $100 coins is right here . An illustrated display box accompanies each purchase. There is a household ordering limit of three in place.